All Fremont homes currently listed for sale in Fremont as of 04/23/2019 are shown below. You can change the search criteria at any time by pressing the 'Change Search' button below. "First-rate Location in Fremont! Very well built all brick home tucked off the main road with privacy and views! 4 bedrooms, 3 FULL baths. A deck just off the kitchen adds an enjoyable outdoor living space for seclusion or entertaining. Master bath with separate tub/shower and walk-in closet. Fully finished lower level with access to the backyard, wood stove and useful storage space. Newly updated heating system with heat pump, along with updated windows and storm doors. .81/acre lot with full landscaping and fencing, mature trees and sprinkling system. Located within minutes of Fish Lake National Forest! " "A Country Rambler just outside of one of Utah's Mighty Five National Parks. Easy access to Fish Lake, and Thousand Lake Mountain. 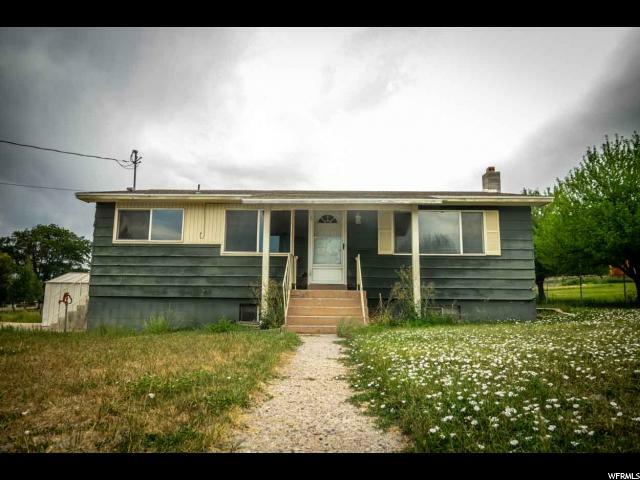 This 4 bedroom 2 bathroom rambler has space in all the right places with large rooms and plenty of room to grow. Come and make this your own! 1.02 acres with views in every direction. Square footage figures are provided as a courtesy estimate only and were obtained from county records . Buyer is advised to obtain an independent measurement."